Last June the Office of the National Coordinator for Health Information Technology (ONC) issued a report called “Connecting Health and Care for the Nation: A 10-Year Vision to Achieve an Interoperable Health IT Infrastructure.” Its vision for the future is of an “interoperable health IT ecosystem [that] makes the right data available to the right people at the right time across products and organizations in a way that can be relied upon and meaningfully used by recipients.” That the government agency charged with coordinating health information technology expects it to take until 2024 for this vision to be realized has to be considered a disappointment to patients and health care providers alike. The increasing momentum toward adoption of standards such as HL7 and the introduction of frameworks to facilitate more rapid adoption would seem to indicate that the tipping point should be closer to hand. One of these frameworks is FHIR. 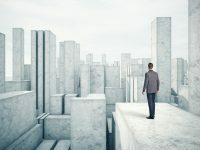 An acronym for Fast Healthcare Interoperability Resources, FHIR is billed as “a next generation standards framework.” According to its website it is “leveraging the latest web standards and applying a tight focus on implementability.” One pundit has called FHIR a reason for optimism about interoperability and another called it a game-changer. It is being created by HL7 International, the group supporting the standard. Whether FHIR will accelerate the realization of the ONC vision remains to be seen. Another person to see the potential for a de facto standard to emerge is Iltifat Husain who noted that Epic covers more than 50% of the U.S. patient population while iOS8 devices are used by tens of millions. Of course others in this marketplace are pursuing their own versions of Apple Health. Whether these are complimentary or competing visions of medical information nirvana, it’s hard to say at this point. Does it all come together a few years down the road or do proprietary approaches interfere with adoption of industry-wide standards delaying the ultimate vision form being achieved? The answer may – or may not – be coming to your smart phone.